Grocery Store Isle Eating List! 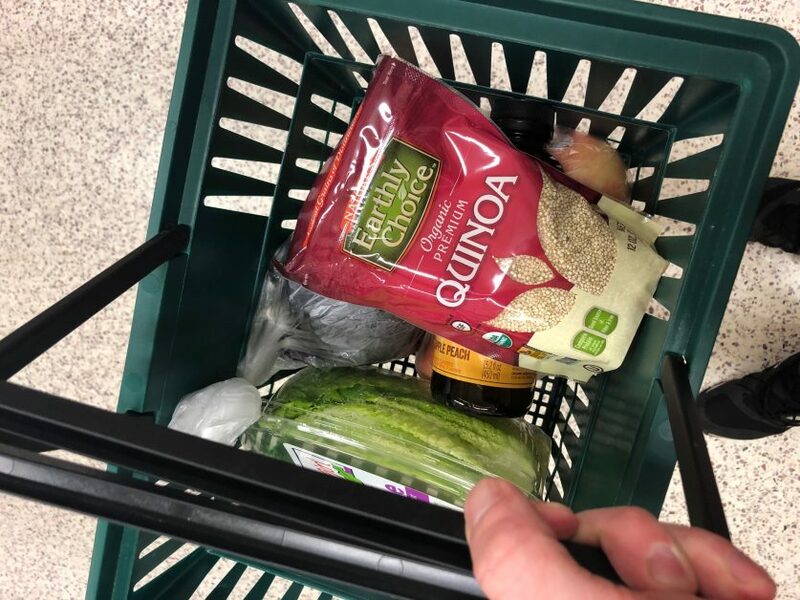 You have heard it a million times, and I will say it again…when going to the grocery store remember to shop around the perimeter of the store. Oh! And don’t go hungry. You want to buy plenty of fruits and veggies. Grab a variety of nuts. Your choice of protein, like fish, ground beef, steak, and chicken. Do your best to buy grass fed, non GMO, and local if you can. Is it more expensive? Slightly, but if you pay more now for better food, you won’t have to pay for your health later. And if you don’t have any lactose problems, then grab you some Greek yogurt, as a solid protein source. Also, some string cheese to add to a quick meal, and water. If you don’t know how important water is than we have bigger fish to fry. That was literally a big counter clockwise circle of the route I take at my Publix near my house. For the most part my cart looks like lots of colors, minimally processes foods, and very few labels. But what do you buy in the middle isles? Grab you some coffee as your pre-workout stimulant. Oatmeal for breakfast, or maybe post workout. You can throw oats into a shake or make a protein bowl. Rice, Quinoa, beans, and any other carbs to have with your main meals during the day or dinner. You can’t go wrong with making your own Chipotle style bowl. Chicken, rice, guacamole, and seasonings. So good! Powdered peanut butter, sugar free jelly, and rice cakes. All in the same isle I think! Powdered peanut butter like PB2 still gives you that peanut butter taste with lower calories! It comes powdered, but you can turn it into peanut butter consistency. Throw it in your shake, oatmeal, or your Greek yogurt(you will thank me). Gone are the days of eating bland food, so pick out some seasonings you enjoy and some oils to add on food, or cook with. Just be careful, because oils and other fats are higher in calories. Frozen vegetables are perfectly fine! So grab a variety. This makes your life easy when you need to add some size to your meal(veggies are filling), especially when you are in a rush. Plus, I love frozen sweet potato fries so get some of those. Lastly, any microwavable low calories meals, frozen gluten free waffles, and some Halo Top Ice Cream to hit your sweet tooth, but not destroy your calories.